The Dutch Pancake in Stowe. Almost every country has its pancake, be it Indian dosa, Ethiopian injera, Hungarian palacsinta or good ol' American silver dollars. 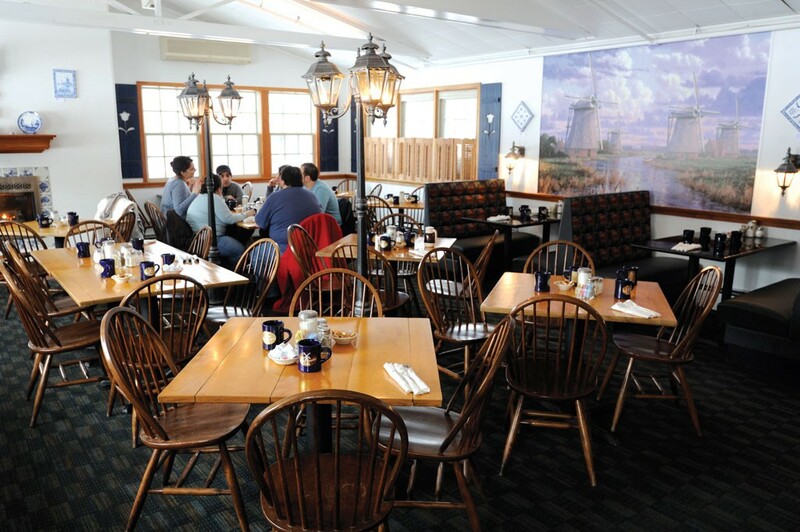 But only the Dutch pannekoek has its own Vermont restaurant. 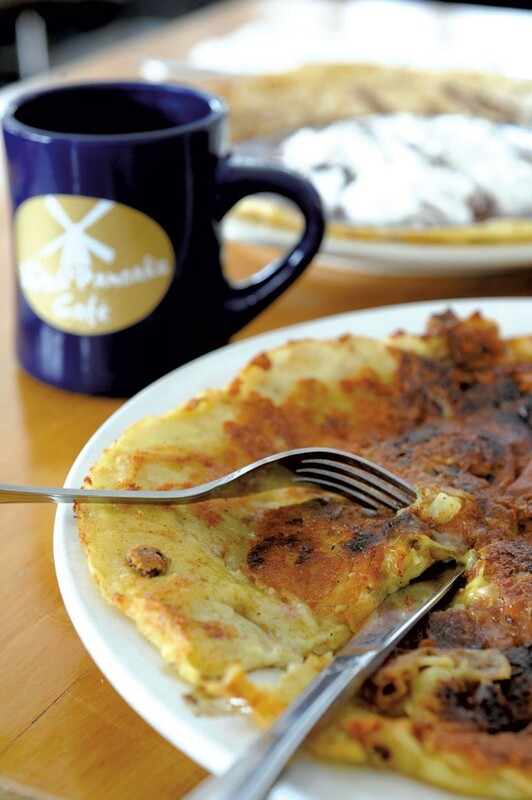 Dutch Pancake Café is tucked inside the Grey Fox Inn on Stowe's Mountain Road. From the outside, few clues suggest that it's a temple to the breakfast food. But the nondescript hotel lobby gives way to a quaint dining room that conjures up the Netherlands, complete with a windmill mural and wooden shoes on the walls. Truly transporting is the menu of more than 80 different pancakes. What differentiates the pannekoek from other national versions? Made from a thin batter, Dutch pancakes are big enough to fill — or overflow — most plates. Here, they're a full foot in diameter. The eggy mixture crisps up on the outside, leaving the interior as moist and fluffy as an omelette. All the more room for fillings. A simple sweet-and-salty combo of apple and bacon is perfect for beginners. Those already familiar with pannekoek should try the more complex Rembrandt, which references the country's Malaysian colony with a dash of curry powder that dyes it turmeric yellow. A gooey filling combines cheddar, apples, shredded potato, raisins and ham — all with an aromatic whiff of Asia. Anything on the menu, including American-style pancakes and a Monte Cristo sandwich, can be made sweet with the addition of the Dutch treacle known as stroop. The inky syrup is an intense alternative to maple. Other delicacies include plain pancakes topped with confectioner's sugar, candied ginger or lemon butter. There's even a pannekoek bearing strawberries, a thick drizzle of chocolate sauce and heaps of whipped cream. No breakfast is better preparation for a day exploring the mountains of Stowe than this one derived from a flat-as-a-pancake nation.